Should You Let Your Car Insurance Company Monitor Your Driving? 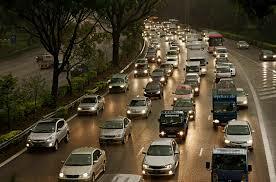 Home » Insurance » Auto Insurance » Should You Let Your Car Insurance Company Monitor Your Driving? Getting a competitive car insurance quote online is pretty easy. Since the major companies are competing mostly on customer service thanks to industry regulations that keep the actual product very similar from company to company. You can adjust your levels of coverage, add uninsured motorist, or try changing the amount of your collision or comprehensive coverage deductible in an attempt to get the most affordable car insurance quote. However, there is one more thing you can try to lower your car insurance premiums: let your car insurance company monitor your driving. Yet the question remains. Should you let your car insurance company monitor your driving? Are the discounts worth giving up all of that data? Some people are willing to do just about anything to lower their auto insurance costs, but is having a company monitor your driving taking it too far? Some of the major car insurance companies like Progressive and All State offer you the option of letting them monitor your driving in order to potentially receive a lower car insurance premium quote. To achieve this the company sends you a small device that plugs into a port on your car. Usually the port is found under the steering wheel column. Kind of like a USB thumb drive, you plug the device in and it starts getting data from your vehicle as you are driving. This includes your speed, time of day, and so forth. That data is then compiled and if you are deemed to be a safer driver then you receive a discount on your policy. Of course if your driving habits don’t fall in line with the car insurance company’s version of “safe driving” then you might find your policy quote increasing rather than decreasing. There are two main issues at play that you should be concerned with. The biggest concern with these programs is privacy. Should your insurance company know where your vehicle is 100% of the time? Should they know that you were doing 56 miles per hour in that 55 mile per hour zone? Worse yet is how the data will be used outside of the insurance company. Of course the privacy warning says they will only share the data with a 3rd party if it is absolutely required to service your policy and claim, there is always some gray area with who they could share it with. You are trading getting a discount for car insurance with having a company track your every move. Are you comfortable with that? Instead of relying on a device plugged into your car that monitors wherever you go there are other options to getting the best car insurance rates. Simply do price comparison across several car insurance companies. With the internet and most companies letting you do an online quote, you’ll be able to do a comprehensive cost comparison very quickly.